1. A license key will be provided after the purchase of pro version. 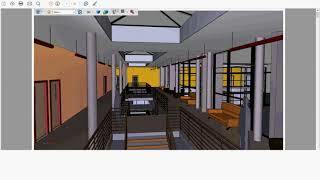 I have used plugin it convertes revit model nicely. Can I reduce polygons? El plugin es muy sencillo de instalar y utilizar. En pocos cliks se obtiene un pdf 3d, incluyendo todas las vistas si así se desea. Muy recomendable. Nice and simple to install and to use. Useful Plugin to generate PDF to share from Revit Designs, 2D and 3D views. I just used the Demo Version and it works perfectly! It's simple to use and you can change settings before you ''print''. Very good! Thank You! Hello Ejup, Thank you for your review feedback. In case you need any kind of further assistance like 1. Customize plugin based on your need, 2. Integrate our plugin in your application, 3. Any new feature requirements etc.. for such assistance, please contact us. Hello Ejup,&#13;&#10;Thank you for your review feedback. In case you need any kind of further assistance like&#13;&#10;1. Customize plugin based on your need, &#13;&#10;2. Integrate our plugin in your application, &#13;&#10;3. Any new feature requirements etc..&#13;&#10;for such assistance, please contact us. Useful App to share Revit designs with both 2D and 3D details. very great App thanks.